Here’s a reentry news flash - you can’t launch everyone. Some folks simply aren’t fueled and ready for the countdown. Consequently, you must decide who to help and who to refer elsewhere. And of course, some of you will resist, wanting to or thinking you can orchestrate success for every soul that crosses your threshold. But you can’t because there’s always something your program doesn’t do…or do well. However, you can (and should) determine what each person needs generally to be launch-ready. Assessment does this. It’s the first step. How else to know if there’s a fit with your program or for that matter, where to begin? Here’s a simple way to look at assessment; a triaging of sorts. 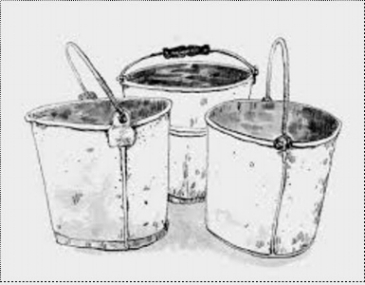 Imagine three buckets. Your job is to place each prospective client inside one of the buckets. These folks are self-motivated and up for the challenge. They may need direction and assistance at the margins but they’re within touching distance of the launch pad. Your job is to identify them, provide the help they need, then get out of their way. Look for 15-20% going into this bucket. Those headed for this bucket are incapable of launching at this time. Their challenges (physical, emotional/mental, addiction, etc.) are too great for even an unsuccessful launch. They are flatly not ready for reentry and must be referred out, appropriately. Expect 10-15% (or more) for this bucket. Everyone else, 65-75% of the total will go here. This is the BIG bucket and the source of your reentry program’s heavy lifting. But here’s the thing, you CAN’T do justice to this Bucket Three group until you have separated and fast-tracked those in the first two. What’s more, not everyone initially placed in this third group will belong, resulting in re-assignment to one of the other buckets. The point I am trying to make is this: don’t cram everyone through the same hole. Programs that are NOT client centered do this. Some folks don’t need the full-meal-deal and some are still too compromised to benefit at all. Your job is to figure out this stuff out.